This eye-catching etched, and anodised, 'Poppy' stick pin has been made using Anodised Titanium. 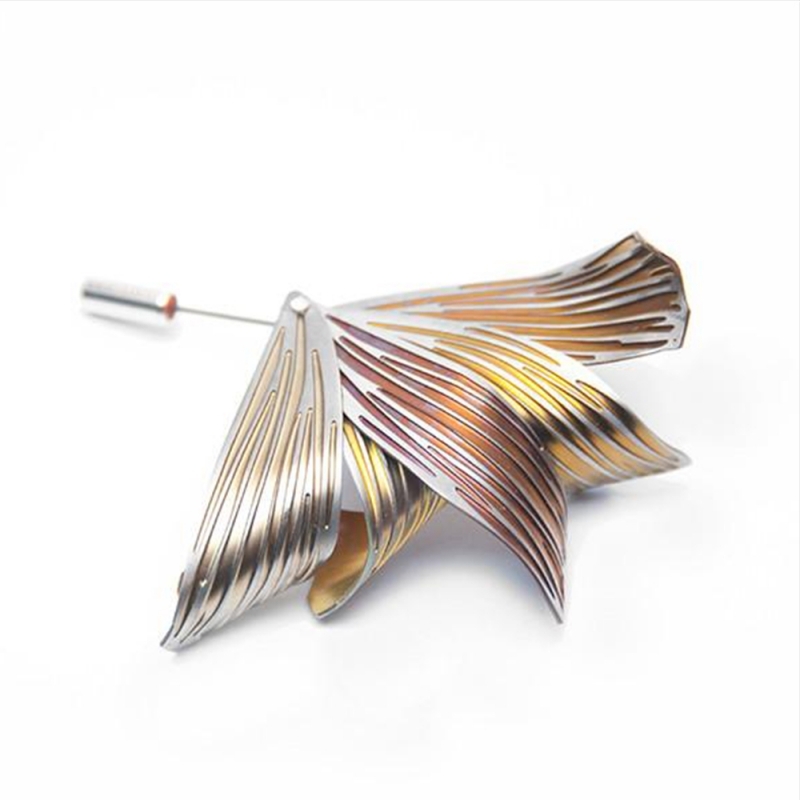 This exceptional metal is perfect for jewellery, it is hypoallergenic, very lightweight and strong. The subtle colours obtained are achieved via an electrical process. Different voltages result in different colours. No dyes are used. The pin has been formed to have lovely undulating curves, all elements have been riveted together. The stick pin is made of titanium and the safety end is of .925 sterling silver. Measurements H60mm x W50mm x D20mm, Pin Length 30mm.